I think the only thing I found more discouraging than the slew of attack ads coming from all three parties, was the onslaught of insults by the populace that followed the results of our election. For anyone outside of the Country of Canada, we had a federal election this week and it was a huge one. When the campaigning started, we had a close three way race between the Conservatives, Liberals and New Democratic Party. But when the dust settled, the Liberals came out with a majority government. Now, I voted Conservative, and I had my reasons. I listened to all sides and though I didn't find any party that I could agree with every point and policy (I felt that any decision was a compromise), but when you get behind that ballot box, you need to make a choice, and I made mine. As we watched the results roll in, I don't think anyone expected that the Liberals would have won with such a majority, let alone anyone having a majority at all. But surprise aside, what I saw unfold on social media and in person, in reaction to this win, broke my heart. The outrage towards anyone who voted Liberal were harsh, to say the least. 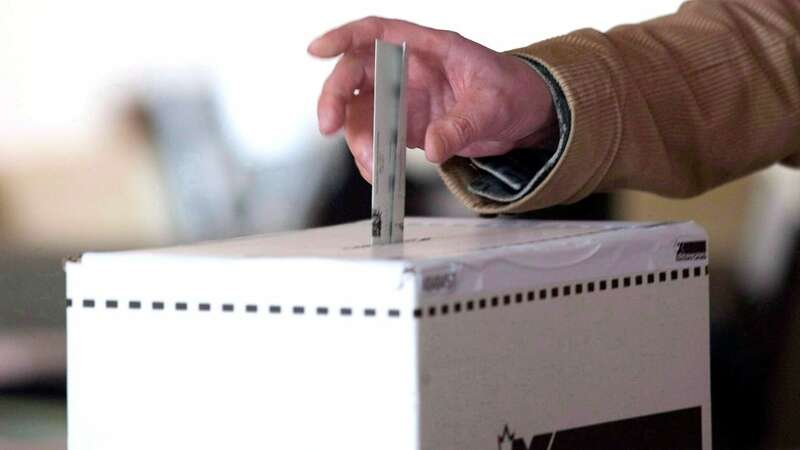 A peppering of personal insults and attacks ensued, with comment after comment, calling the rest of Canada 'idiots' for voting anything but their party. People claiming the country would burn to the ground because it was now led by a Liberal Prime Minister was a bit much for me. You would almost think we entered a fascist regime. Now, don't get me wrong, people have every right to be disappointed, frustrated and even concerned about a government they feel don't line up with their values and convictions. I know I have some major concerns of my own, but I think the reaction I saw online was borderline dehumanizing. Of course, the Liberals are not innocent in this crime either. Reading comments being flung to those who didn't vote Liberal, as being 'ignorant' or living in the dark ages was not exactly a shinning example of civility . The first thing that troubles me, about this, is the attitude of utter certainty that underlines this reaction from all sides. To claim someone who sees potential/value in a different view or political party is an 'idiot' or 'ignorant' simply by the fact that they see things differently is seriously lacking in basic human interaction. I probably shouldn't be surprised, it would seem every election this reaction happens, but what worries more, is that it doesn't surprise us. Why has this become the common manner in which we dialogue? Honestly, the claim that everyone else is so stupid that they can't see the clear plain truth that their political party or worldview is the only truth to be held is borderline fascist. You basically make the claim that their worldview, values, policies and political party have nothing to offer, other then wrong answers, and anyone who can't see that is an 'idiot' or 'ignorant'. The second thing that troubles me is that this attitude denies or at least tries to avoid the fact that their worldviews, values, policies and political party has any holes or blind spots. When I voted Conservative, it wasn't because I liked everything about them, or that I think their platform and policies were iron-clade. But I had to make a decision based on the information I had and the issues I saw as most important at this time. But the reaction of claiming anyone who voted Liberals are blind idiots that obviously made the wrong decision or that anyone who didn't vote Liberal is living in the past or ignorant is quite harsh. Don't you think? These kind of claims are never based on reason or logic, but are knee jerk emotional reactions. Since we cannot attack the position anymore, we feel we must go towards the person holding them. Attacking their character and actual personhood. This actually dehumanizes that person. Now, not everyone I know responded like this, there was a few shinning lights in the midst of all the hate filled reactions. I will share two that I think really hit it home and brings a much better balanced response. It doesn't deny their disappointment (as they didn't vote Liberal), but highlights the reality that they see hope and wish to stand side by side with those they disagree with to work towards a better future and a better Canada. "I am resolved to be committed to my country no matter what. The people have spoken. The blood that has been shed to give us that right was not lost on tonight. God bless our new Prime Minister. We have a choice in the end. We can choose to fuel our country's future with hatred or hope. Maybe you don't like the results of this election, but I hope you can resolve to believe that the Liberals and Prime Minister Justin Trudeau love this country as much as you and bleed for it. Some may disagree with some core and essential issues and we all should still fight to see what we believe stand true (I know I will). But let us do it in a way that creates real dialogue and change. We can react, cut down and simply make our points, or we can band together and make real change. I wrote this the week before the election and many people liked and shared it. I think it rings even truer today and hope you still find it true now. No one ever won an argument or won anyone person over by reacting or getting angry. Let us never forget to be "quick to listen, slow to speak and slow to become angry" (James 1:19). Canada is still great! "Well, tonight is not the outcome we had hoped for. Yet, the people are never wrong. The Canadian people have elected a Liberal Government. A result we accept without hesitation. I have spoken to Mr. Trudeau and offered him my congratulations... To all Canadians, or every strip, in every corner of our country, victorious or not, I salut you. Your efforts keep our democracy strong." As a diverse people with a variety of understandings, beliefs and convictions, we can make this country great. And it is in those differences that we can keep each other and all side vigilant to stay on course as being one of the greatest countries to live. Let us keep fighting the good fight, but do so with grace and civility and never lose the humanity in all of it. Let us be a people who are a part of this reality, making our country great and walking arm and arm with other Canadians. And yes, even those we disagree with and see things differently than we do. ​That is the Canada I believe in.